Should Joe Ralls have seen red for Cardiff against Spurs? Cardiff suffered defeat in the Premier League again as they were beaten 1-0 by Tottenham at Wembley but the main talking point was Joe Ralls` sending off after 58 minutes. As Lucas Moura looked to break towards goal, Ralls came across and cynically stopped his progress with a sliding challenge that angered the Spurs players. Initially it looked as if the referee Mike Dean would issue a yellow card to Ralls but after taking his time to make a decision, he produced the red card instead. 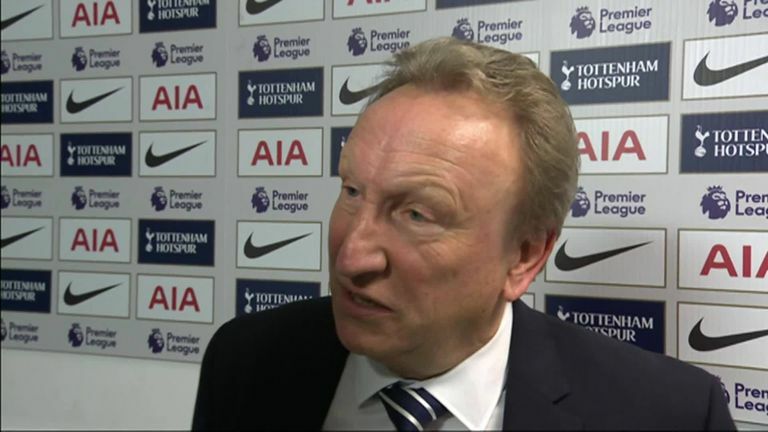 Neil Warnock was furious at the decision and after the game he claimed that Dean had been influenced by the Spurs players, as well as his linesman and fourth official. Speaking post-match, Warnock said: I think when he (Mike Dean) looks tonight he would have given a yellow card nine times out of 10 if it was left to him. I think he was wrong. Do you agree with Warnock`s assessment? Click on the video to see whether or not he had a case! WATCH: Should Morgan have been sent off?